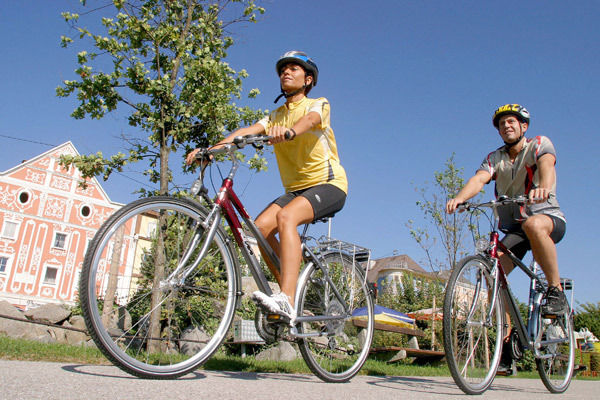 Relaxed, hassle-free cycling on dedicated paths, from Passau to Vienna. Exploring the wonderful, culture-filled cities of Passau and Vienna. Stopping for wine tastings as you cycle through the vineyards of the Wachau Valley. Charming towns, beautiful churches and superb scenery every day. Tucking into the excellent Austrian food and wine. 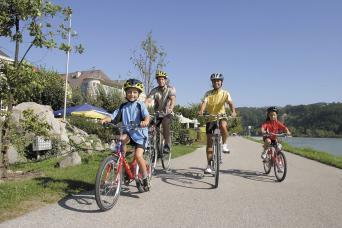 Cycle along the renowned Danube Cycle Path from Passau to Vienna, alongside the Blue Danube. The Danube Cycle Path from Passau to Vienna is an absolute cycling classic and Europe’s most popular cycle holiday. 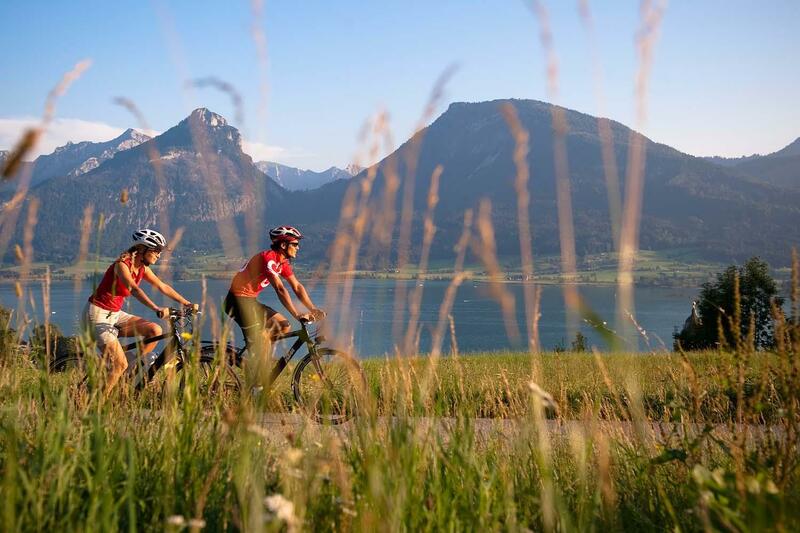 As you cycle through Austria you will discover the enchanting river landscape, picturesque villages, lush vineyards and countless cultural sites from the time of the Romans and Nibelungengau. The Danube Cycle Path is completely traffic-free so you can relax and enjoy the wooded forests and the magical meadows of the Schlögener Loop, Strudengau, Nibelungengau and Wachau regions. As you follow the Danube you will discover that each region offers unique attractions. Gourmets will enjoy the Wachau Wine Valley. Numerous museums, exhibitions, galleries and the beautiful towns and cities along the way will tell you the story of this fascinating region. 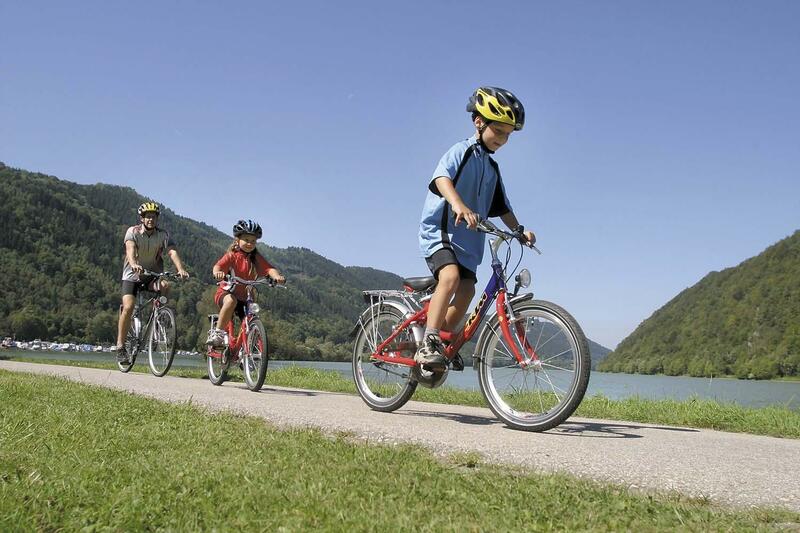 The Danube Cycle Tour is perfectly suited to families and beginners as the cycling is flat or gently downhill as you follow the Danube downstream. The route is well way-marked, paved and traffic free. What more could you ask for on a cycling holiday? Passau, the city of three rivers, sits at the confluence of the Danube, Inn and Ilz Rivers and has developed as a wonderful historic city. Once you arrive in Passau, take the time to enjoy a city tour or stroll through the lanes, arches and tunnels of the beautiful old city. 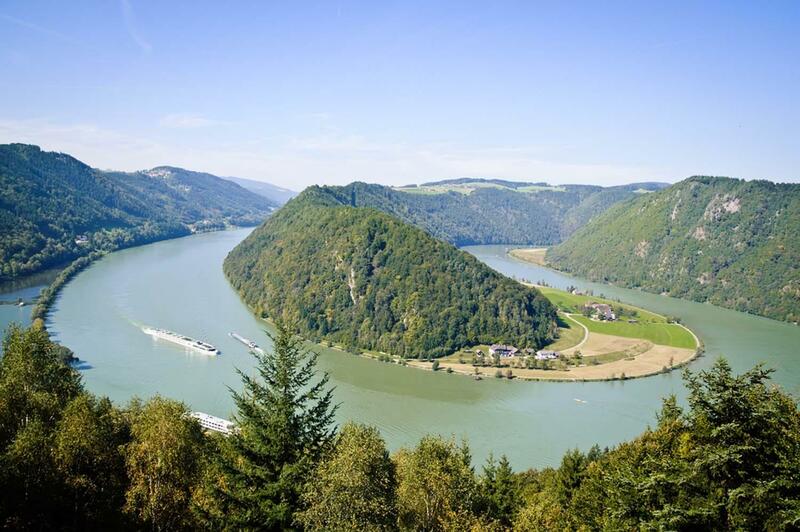 Passau is right on the border of Austria and you are soon cycling through the wonderful scenery of the Upper Danube Valley on the way to Schlögen. Highlights of today’s route include a visit to the only “Trappist“ monastery in Austria at Engelhartszell, where you can sample some delicious liqueurs. The impressive “Schlögener Loop” where the river makes a complete 180-degree turn, marks the end of the day. Small passenger ferries whisk you across the Danube to start your day before you continue to the Eferdinger basin. Here the landscape opens onto the fertile plains and before you know it you will arrive in Linz. Linz is the capital of Upper Austria and was the European Culture Capital of 2009. It is hard to beat the pleasure of enjoying a stroll around the lovely main square on a gorgeous summer evening. Don’t miss the short diversion to the town of Enns. This delightful town is the oldest in Austria and both beautiful and fascinating in equal measure. 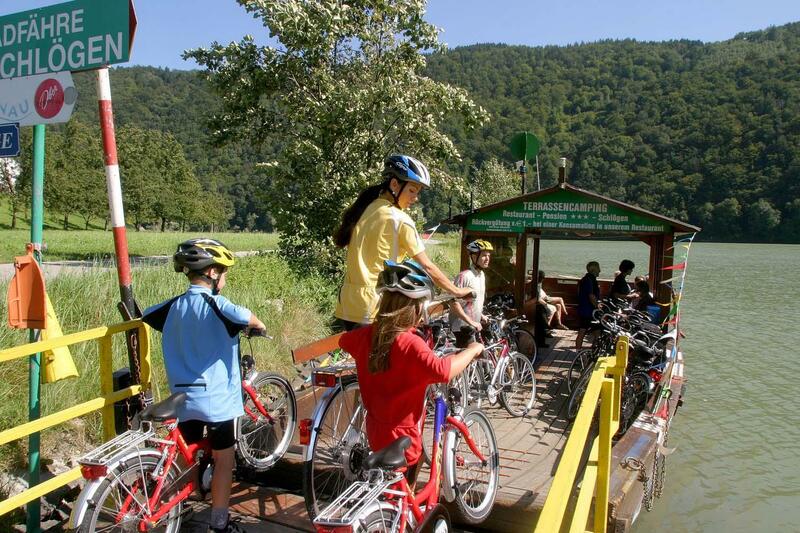 As you continue to follow the Danube you will enjoy cycling through beautiful meadows and tranquil countryside. Other highlights include the Celtic village Mitterkirchen, the majestic church in Baumgartenberg and the romantic castle of Clam. The beautiful Baroque village of Grein, home to the oldest theatre in Austria, is your destination for the day. Today you will be cycling through a wonderful landscape of high, densely wooded rock formations on both sides of the Danube. The scenery is absolutely sublime. Look out for the Pilgrimage Church of Maria Taferl, which is perched high above the Danube. The Benedictine Monastery of Melk marks the end of the day and can be seen from many miles away. The Wachau is the next highlight on the Danube Cycle Path. The Wachau valley is a landscape of terraced vineyards and apricot orchards, dotted with castles, palaces and monasteries. The wine growing villages of Spitz, Weißkirchen and Durnstein are filled with tempting taverns, where you can experience Austrian food, wine and welcomes at their best. 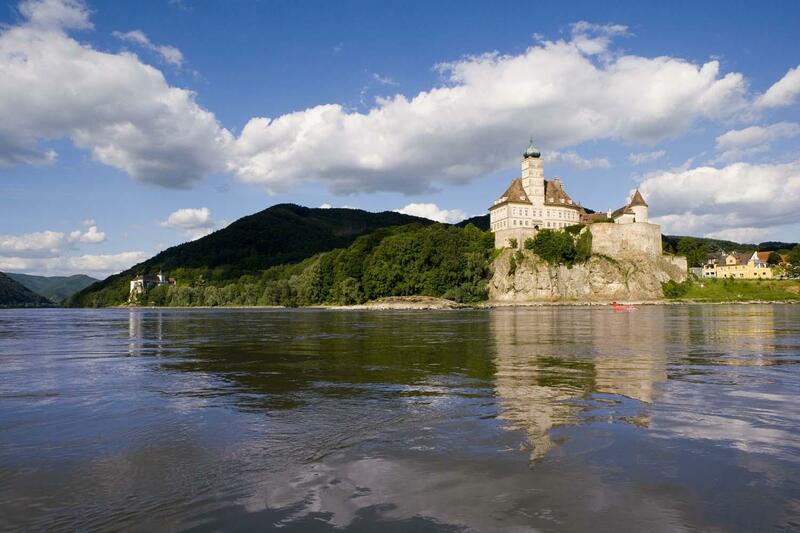 You depart the UNESCO World Heritage Cultural Landscape of Wachau by train for Tulln. On arriving in Tulln you continue on a delightful cycle through the Vienna Woods (Wiener Wald) and pass through the “Gates of Vienna”. 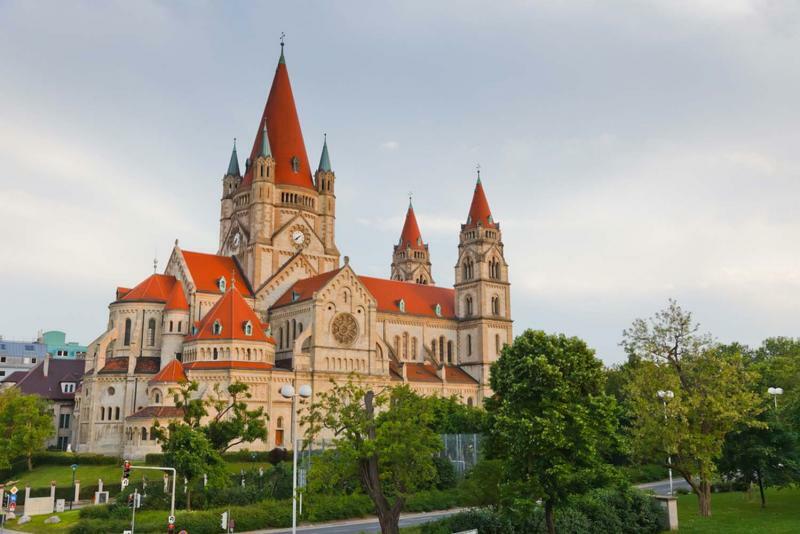 Don’t miss the Klosterneuburg monastery. And finally you arrive in Vienna, “The City of Music”. Vienna is one of Europe’s most delightful cities and the perfect place to end a wonderful cycle tour on a high. Shortcut: Take a boat or regional train all the way to Vienna. If you need to return back to Passau a train ticket is included in the price of your trip but you may have time to explore the delightful city of Vienna before you leave. You will not be disappointed by Vienna, a few of the must-sees include the famous Naschmarkt (international food/goods market), the City Opera, the Ringstrasse and of course the gorgeous imperial castle Schönbrunn. Extra nights in Vienna can be reserved at the time of bookings. The Danube Cycle Path does not end in Vienna! Why not continue your cycle through the 'Donauauen' Nature Reserve and onwards to the Slovakian capital of Bratislava (includes the bus journey back to Vienna). Please contact us for details. 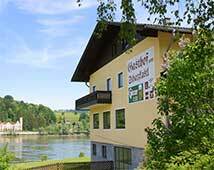 Our Classic Danube Cycle Path trip includes accommodation in standard ensuite double/twin rooms in typical Austrian Inns, which are normally 3* standard. We carefully select them for their warmth of welcome and character. 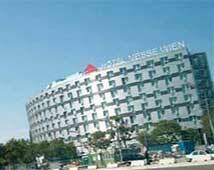 We can also upgrade you to 3* and 4* hotels if you prefer. Below you will find an example of accommodations used on this tour. We work with a number of accommodations along the cycle path, so all distances are an approximation of the recommended routes. You may be accommodated 5-10km away in the surrounding area, which may add or reduce the distance you cycle each day. If you're travelling with friends or family but prefer your own room, single rooms are subject to availability and a supplementary payment. This trip is also available to solo cyclists and is perfect as the route is popular, so there are plenty of people to chat with every day. 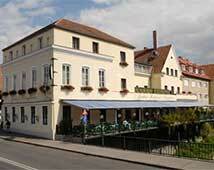 ACHAT Comfort Passau is a charming 3-star hotel set in a prime location in the centre of Passau. City Centre Passau is not far from the hotel. 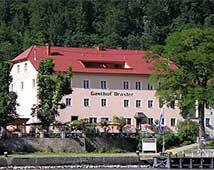 With great Austrian food and Wine, you are assured of a warm welcome at Gasthof Draxler. Set in a beautiful spot overlooking the river, you will instantly relax as you walk in. 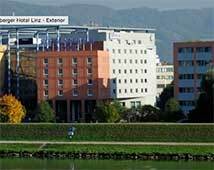 The view of the Danube and the mountains has a particular charm which you can only experience from the Steigenberger Hotel in Linz. Here, guests will find comfort and cosiness throughout the hotel. A charming guesthouse with great opportunity for watersports if you fancy getting on the water. Arrive and feel at home from the first moment with the outstanding hospitality and the local knowledge and cuisine on offer. The hotel offers a wide variety of services and amenities including a fabulous buffet breakfast, to guarantee the perfect start of the day. This trip is available to start on any day from March to October. We suggest that you contact us as soon as possible if you are considering a departure during the peak season of May-September. May to September are the busiest months, and in July and August, the days are wonderfully long for exploring and making the most of the historic centres you will visit. The summer months generally do not become unbearably hot and temperatures are often pleasantly warm, especially for cycling. Do keep in mind that some days will be hotter than others and it is important to make sure to always carry plenty of water, avoid cycling at noon and wear sunscreen while cycling. This tour is graded easy. You will be cycling along dedicated cycle paths and quiet country roads. Please be mindful of other road users at all times, especially on routes shared with traffic. EBikes are also available for hire if you would like a power assisted ride. For more information on EBikes please click here. In Austria it is mandatory for children under 12 yrs to wear a helmet when on a bike. All bike tours are unescorted. The mileages and approximations are distances of the recommended routes. Please be prepared by packing all necessary items, for example, proper rain gear (jacket and pants), sun hat, sunscreen. Your information pack has a detailed equipment list which includes standard cycling gear such comfortable clothes for cycling, lightweight clothing for the summer months or warm and waterproof clothes for the cooler months and a daypack. In Austria it is mandatory for children under 12 yrs to wear a helmet when on a bike. 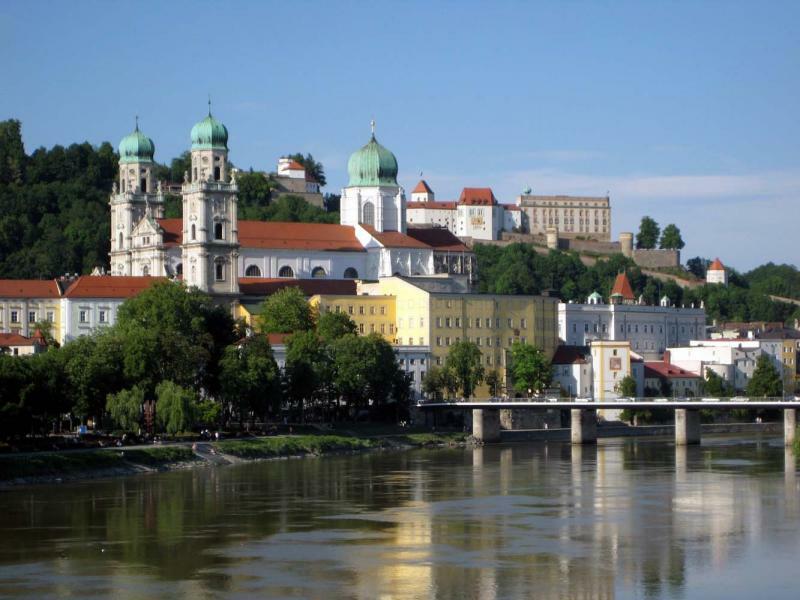 Passau is located in Germany, close to the Austrian border. It doesn't have an airport but it easily accessible by rail from nearby cities such as Munich, Linz, Salzburg and Vienna. Passau has direct train connections to Linz (1h30), Salzburg (2h45), Munich (2h30) and Vienna (3h30), which are the most convenient airports. Please visit the DB Bahn Website to check times. If you are arriving into Vienna Airport. 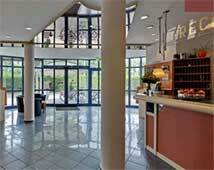 Rail or bus transfers to Passau are included in the price. If you would like to arrange this please let us know at the time of booking. These cannot be arranged on the day of arrival. Vienna Airport has extensive connections to most major international cities. The airport is only a 20 minute bus journey from the centre and has regular airport shuttle buses leaving every 20 minutes from central Vienna. If you would like to return to Passau this is possible. We can arrange a train ticket for you which is included in the price of your trip. Central Vienna train station has several services throughout the day to Passau. Journey time is around 2hrs 45mins to 3hrs. For full information on fares and times please click here. Train transfers from either Passau to Vienna or Vienna to Passau must be confirmed prior to travel. Train travel from Vienna to Passau. This trip is graded as easy owing to the very flat nature of this route. Daily distances are between 40 and 60 km. If you haven't been in the saddle for a while, it is a good idea to get out and spend some time cycling a couple of back to back days to get used to being on a bike. However, it’s not all cycling. Each day there are plenty opportunities to visit historic sights and sample locally produced food and wine. You will be cycling along designated traffic free cycle paths and some quiet roads and along some busier routes through when approaching and departing towns and cities, so please be mindful of other road and cycle path users at all times. Your bags will be transferred from your accommodation as per your itinerary and moved onto your next overnight accommodation. We ask that you limit your luggage to one bag of up to 20kg per person. If are carrying more than 20kg per person, please let us know at the time of booking as extra luggage transfers might be required. You will need comfortable shoes and clothing for cycling, a helmet and other weather appropriate clothing such as clothing for when you're not cycling. We supply a detailed packing list with your information pack. The Danube Cycle Path is busiest between May and September, with warm days and a buzzing town life in the evenings. The hottest months are July and August and during these months we'd suggest cycling early, or plan you day around a long lunch to avoid cycling in the midday heat. Just returned from our cycling tour along the Danube organised by Macs. The holiday was superbly and efficiently organised . The equipment was first class- cycles new , maps detailed and easy to follow with additional information about points of interest very useful. The accommodation was very clean and comfortable and the hosts welcoming. We did not book half board ,but nevertheless ate in the hotel each night because it was convenient and the food was good.So it might be easier to book half board.The only slight criticism ,our Krems accommodation was a B and B only[perfectly good with gastof in village for evening meal] ,but the location was an additional 10km east of Krems having already cycled 56km to Krems. The guide book and directions to specific lodging often did not match up. More attention to details of specific and accurate names would be helpful. Otherwise it was a terrific adventure! Great trip thanks very much. Excellent bikes. Excellent locations. Really fun trip as the route is so excellent. We loved this holiday. One of our best EVER! We are already planning our next trip with Macs. So well organised and brilliant fun. My husband still won't contemplate anything with hills but he's already recruiting friends to cycle with us next summer! Well organised, we hired the bikes as well this made things easier. Accommodation was very good. Food very good. Route brilliant. Would have been good to have the detailed guide book a week or two prior to going to read the detail and options. We like to plan ahead where we can. Will be looking for our next Made Adventure. Done this and Hadrian's Wall both great experiences. Great organisation Helpful staff Super holiday.....Again!! Very well organised adventure. Loved it. We really enjoyed the trip and feel envigorated afterwards. Very well organised and lovely accommodation, well picked guest houses. Organisation was simple to follow. Would highly recommend. I thoroughly enjoyed our Passau to Vienna bike tour arranged by MACs tours. They were competent, provided fine accommodations, excellent breakfasts and transported our luggage seamlessly. I would recommend this trip to anyone in fairly good physical shape. I am 71 and found the route very doable. The route was fairly flat and so varied - fields of corn, the Danube, residential areas, etc. This tour is graded easy. Each cycling day covers between 40-60km along dedicated cyclepaths and through the towns and villages along Europe's most famous waterway. Predominantly traffice free means this trip is perfect for beginners, those that love to explore by bike or a group with mixed abilites. With plenty of opportunities to sample local dishes and admire centuries old towns, every pedal stroke is completed in your own time.